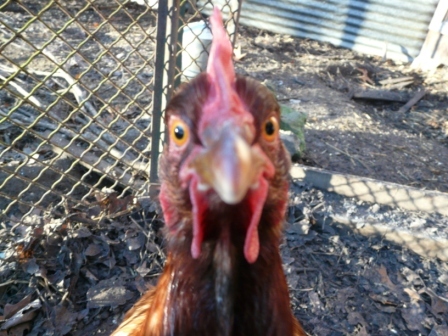 I’ve been looking after the chickens at the student Green House for the last few days. 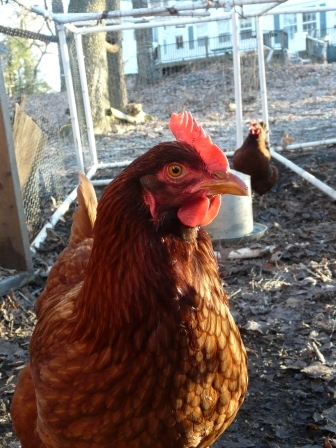 The birds live behind the Green House “eco-dorm” and provide eggs, education, amusement, and, in the end, flesh. Their caretakers have dispersed, so a motley group of those “left behind” are coming in to feed, water, and check on the birds. 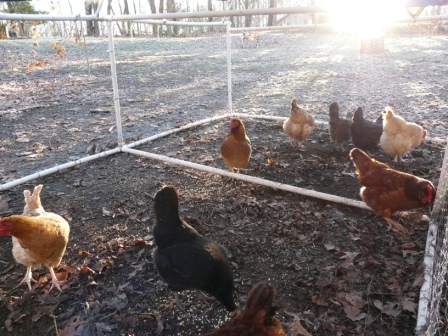 Dawn breaks on chickens pecking in the frost...in a PVC enclosure (wandering dogs love to eat chicken). ...and she's feisty. About one microsecond after this blurry photo was taken, she launched a lightning jab at the lens -- ping! She looked disappointed that the lens filter didn't crack, then she moved on to a vigorous attack of my boots. 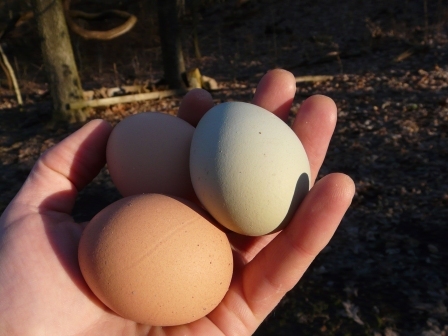 The nest boxes in their shed have half a dozen eggs each morning -- including, today, a blue one. I can’t help but think of Asian jungles whenever I’m around these birds — and what a long strange trip it’s been. This entry was posted in Archosaurs on December 29, 2011 by David George Haskell.